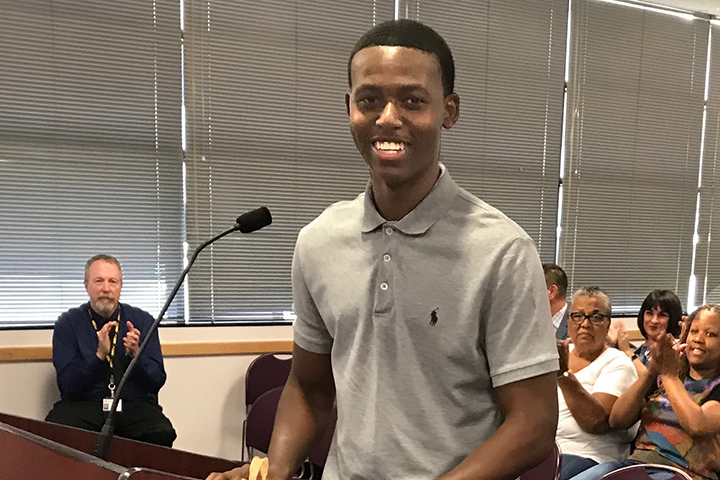 Cabrillo High School senior Demetrius Jackson earned a surprise $10,000 scholarship last week from the Council of the Great City Schools. 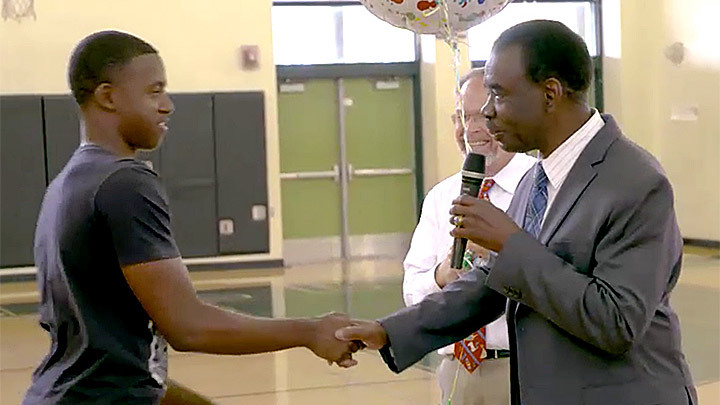 Long Beach Unified School District Board of Education member Felton Williiams, accompanined by Superintendent Christopher J. Steinhauser, presented Jackson with the honor during a school assembly. Last October, Williams received the 2017 Urban Educator of the Year award at the Council of the Great City Schools’ 61st Annual Fall Conference in Cleveland. Also known as the Green-Garner Award, the honor included a $10,000 scholarship to present to a local student. After an extensive selection process, Jackson was chosen as the recipient. Jackson earned a 4.1 cumulative GPA and is heading to Northern Arizona University to study business. After the presentation at his school, he was also honored at this week's Board of Education meeting, where he thanked his family and explained his motivation to succeed. "I just like hard work paying off," he said.